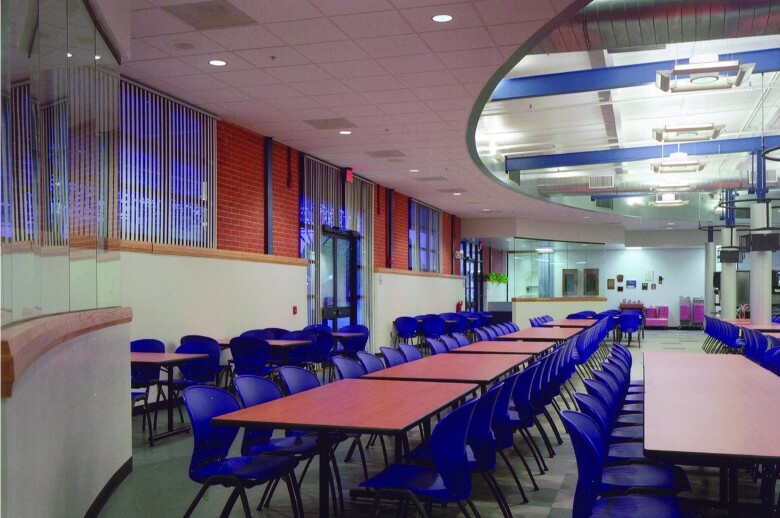 Constructed in 2001 for the 162nd Fighter Wing, this facility is more than a modern dining service area for military personnel. It provides essential meeting space for groups as large as 800. An adaptive use of what was originally the base supply warehouse, the new dining facility brings new life to an old structure. The design integrates contemporary architectural elements with expressions of the original construction by exposing brick walls and the steel roof structure. A state of the art commercial kitchen provides food service for 1600 persons. Video projectors and multiple TV screens provide flexible audio-visual capabilities.